This recipe appeared several times in Mum’s collection, a couple of times in newspaper columns and in a little cookbook called ‘Simple Minced Steak Recipes’ that her bowls club put out as a fundraiser. I’ve cooked it lots of times as the family always liked it. If you add Cauliflower Cheese and a throw a jacket potato in the oven you’ve got an easy meal. Mix meat, rice, onion and seasonings. Shape into small balls and place in casserole dish. Mix tomato soup and water and pour over meatballs. Cook in a moderate oven 180°C for 1 hour. Do not overcook. 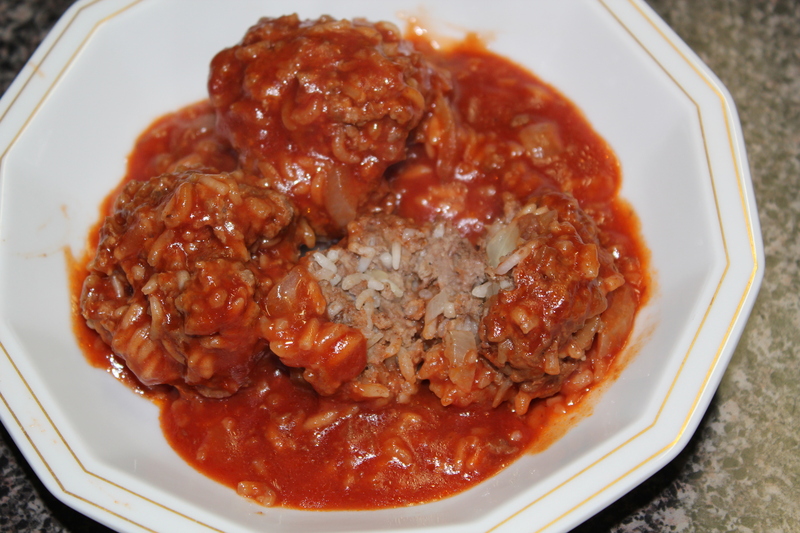 This entry was posted in All Recipes, Beef, Main Dishes and tagged 1970s, meatballs, mince steak, rice by bebsrecipes. Bookmark the permalink.